Retail Electronic Data Interchange, or EDI, is a method that retailers use to send electronic communications from business to business. It replaces manual processes that originally took place via emails, postal mail, paper based purchase orders, faxing and other types of communication. Orders, invoices, shipping notices and other business documents are transmitted automatically and securely to improve operational efficiency and reduce purchase order processing turnaround time. 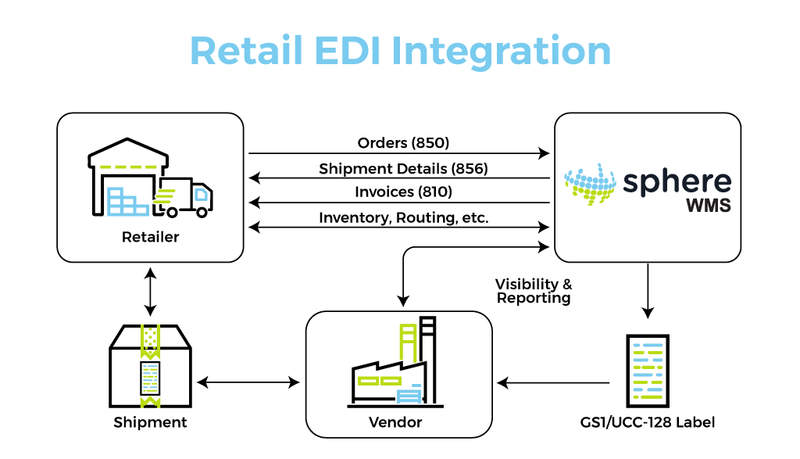 How Does Retail EDI Work? All parties involved in the inventory management process have internal servers that communicate vital information electronically. 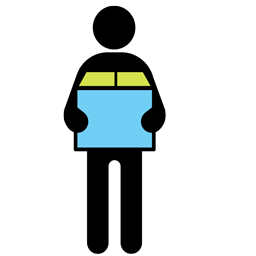 For example, when a retailer has an purchase order, this information is sent to the vendor's EDI solution automatically and a shipping label is generated for each carton or pallet shipped. The EDI system sends the vendor's shipment details and invoice to the retailer. Minimal human interaction is required for these transactions, which speeds up the entire process. Other benefits of retail EDI include improving inventory management and increasing order accuracy. SphereWMS provides pre-built integrations with over 1,600 trading partners and can also create custom EDI integrations. Your requirements will get the priority they deserve. Are you ready to eliminate the manual processes that cut into your productivity and efficiency? Streamline your fulfillment operations with SphereWMS retail EDI integration and reach out to more retailer partners. Like what you see so far but have more questions? SphereWMS The Smarter Way to Manage Your Warehouse.